Injuries and the dismissal of Jose Mourinho have caused the tag of favorites to shift from Paris Saint-Germain to Manchester United ahead of Tuesday's Champions League clash at Old Trafford. 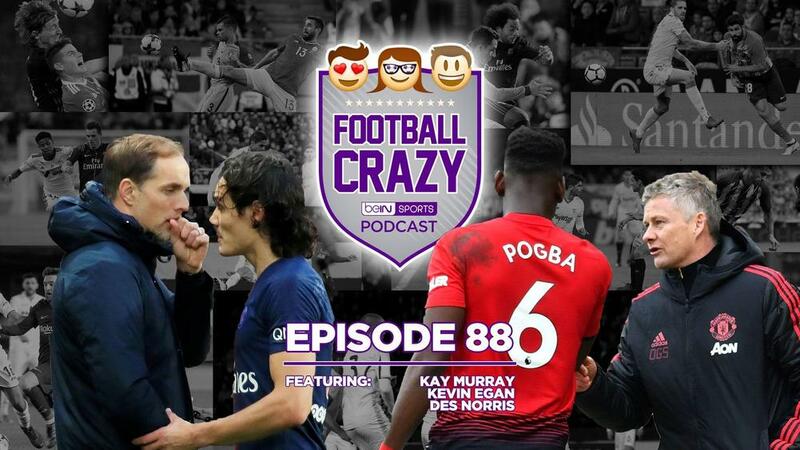 On this week's Football Crazy, Real Madrid continue their resurgence with a Wanda-ful showing in El Derbi, and a San Mamés stalemate sees Barcelona's lead cut to six points. Basically, Hay Liga! The gang then turns its attention to Tuesday's box-office Champions League clash (no, not Roma vs. Porto), and the degree to which perceptions have changed since then high-flying Paris Saint-Germain were drawn against a Manchester United cast in the miserable image of then manager Jose Mourinho. - Who's to blame for Chelsea's free fall from form? - What happened to Everton?